Picturing Disney: Descendants is a Hit! According to Nielsen, over 10.5 million viewers agreed! "I love the villains, but why are the good kids kind of "silly?" Disney laid on the "hokey" a bit thick. The children of some of our favorite Disney Icons came off sheltered and very whiny even to an 8 year old. The children of the villains however...rocked! The best scene in the movie is the opening scene where the so called "Villains" sing "Bad to the Core." The song is so catchy that my son is wearing out our DVR playing it over and over. 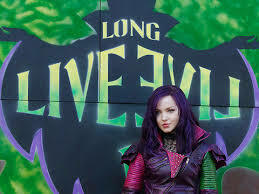 Mal (Dove Cameron) is adorable. She can sing, dance and did I mention she is adorable? Ben (Mitchell Hope) reminds me of a young Matt Damon and oozes charm. Jay (BooBoo Stewart) Seth Clearwater from the Twilight movies is fun and sporty as Jafar's son. 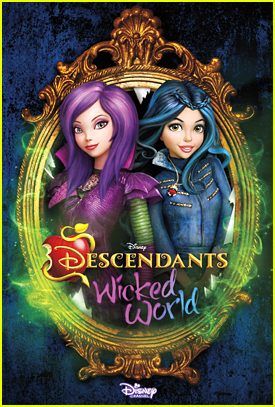 If you saw Descendants and can't get enough don't worry the animated short-form series Descendants Wicked World premieres Friday, September 18 on Disney Channel.